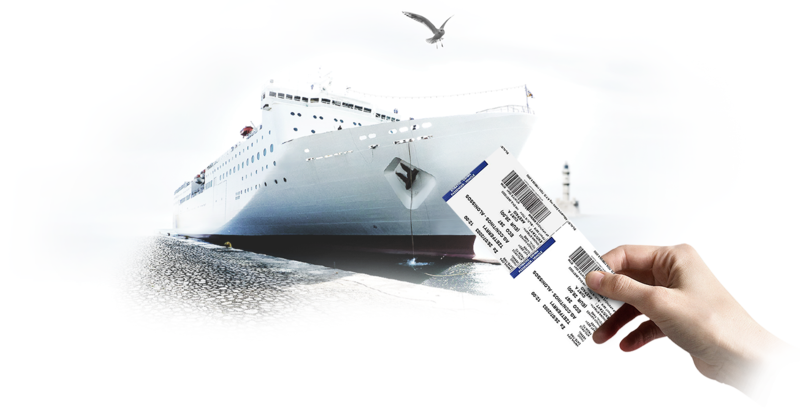 With thousands of ferry routes and dozens of carriers throughout the Mediterranean and Aegean seas, traveler confusion and frustration can run high. 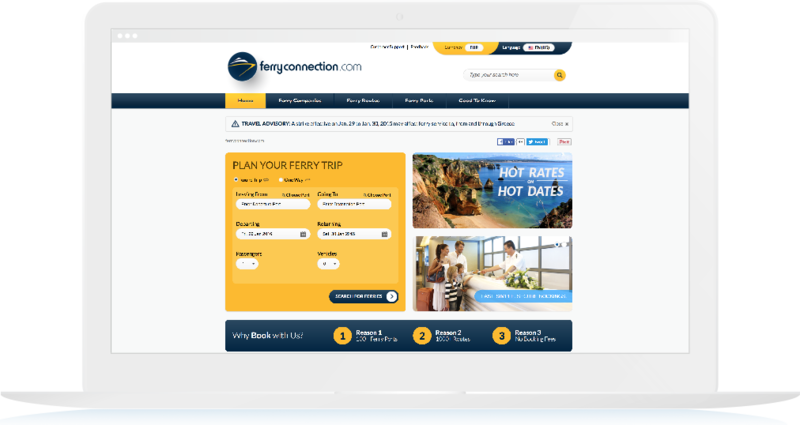 customedialabs designed and developed an intuitive, branded digital interface for ferryconnection.com that transformed the anxiety of booking into a quick, simple process with everything a traveler needs in one website. 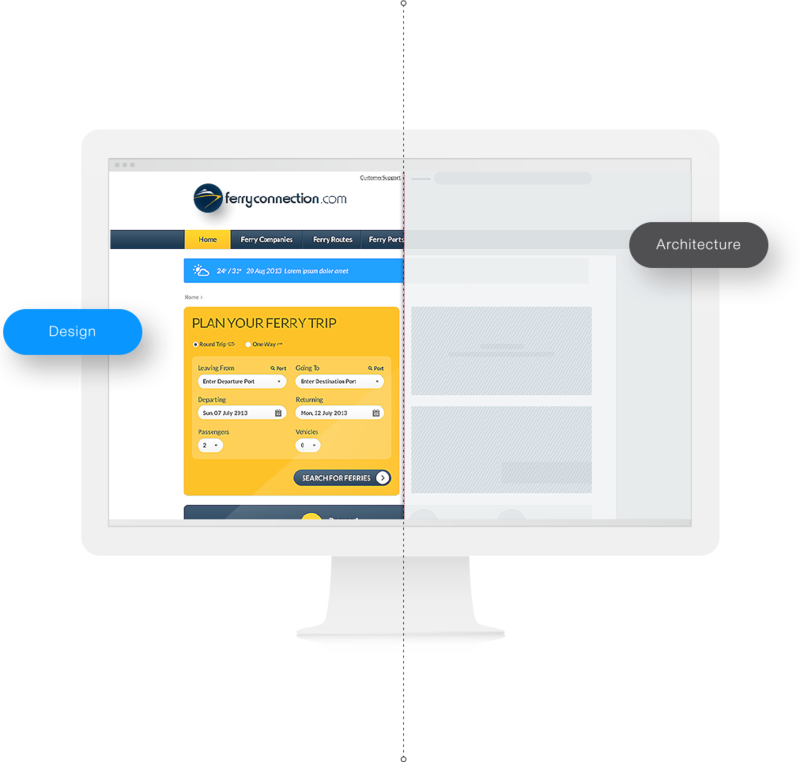 After analyzing analytics and researching drop-off points, our designers and information architects built what amounted to a ferry at your fingertips. 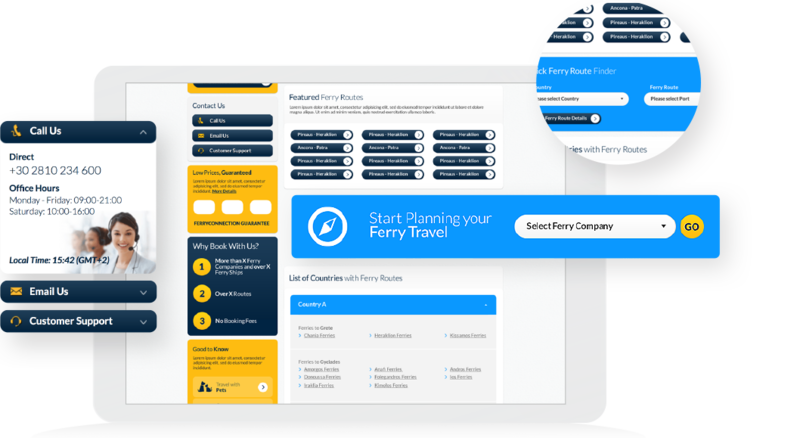 customedialabs gave ferryconnection.com users exactly what they needed: a structured, helpful guide that allows everything from searching itineraries, to comparing prices, to purchasing tickets in as few steps as possible - and feeling completely secure while doing it. All of this was achieved by building ferryconnection.com in TYPO3, a popular and power content management system. 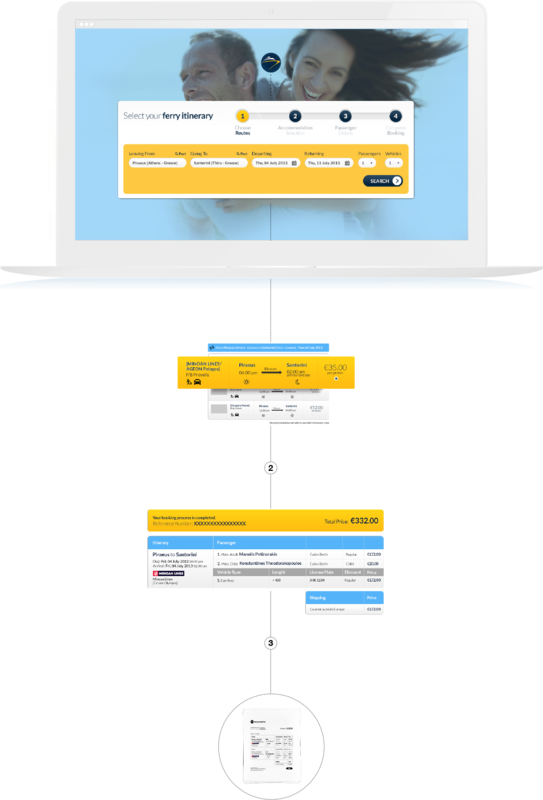 The interface allowed customedialabs' developers to seamlessly tie in both a bookings platform and a payments gateway into a back-end system that ferryconnection.com staffers can now easily manage and make edits to in real time.